Welcome to Garza Blanca Preserve Resort & Spa, one of Mexico’s most luxurious optional all-inclusive resorts in Puerto Vallarta, Banderas Bay. 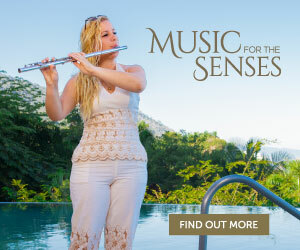 Spanning 85 acres of lush tropical jungle and beach, this elegant oceanfront resort promises unique and spellbinding experiences for all ages. Why not escape to paradise for your honeymoon, indulge in a family vacation, or simply relax with your favorite people at the beach in Puerto Vallarta, Mexico. When looking for Puerto Vallarta all inclusive resorts and luxury hotels in Mexico, you have arrived to the right place. Food was great as usual! Really recommend the Bocados STK for lunch and dinner, and Blanca a Blue for breakfast! But anywhere you eat, you won't be disappointed... Review From Tripadvisor. Looking for Real Estate Investment? Take advantage of this fantastic promotion. Booking your vacation to Puerto Vallarta by contacting us directly comes with multiple advantages: best prices guaranteed, book hotel + flight, no extra costs, TAFER Rewards, among others. All suites at this luxury beach resort at Puerto Vallarta feature stylish decor that includes marble floors, granite counter-tops, private terraces, whirlpool tubs and local handicrafts. Whether delighting in an all inclusive vacation, charging to your luxury hotel room or arriving as a guest to dine, Garza Blanca’s restaurants will treat your taste buds to a delectable meal that encompasses all the senses. Savor the exquisite flavors of your Mexico vacations in Puerto Vallarta with lavish style. A leader among Puerto Vallarta all inclusive resorts, Garza Blanca will make sure your dining experience is a gourmet one.